Every city in South Korea has a few magnet cherry places like that, and every attracts crowds. Not of Koreans only: half of South East Asia comes to marvel at “kotkot” these days (another half goes to Japan). Here are the pictures of two places like that from my summer home’s area, as I tenderly call South Korea: a creek with cherry trees on its both shores and a mountain pass, romantically called Dream Road. Of course, cherry trees make gorgeous decorations for family photos. I could not help but take some of this boy. Koreans kids are adorable – and so are their clothing lines. Cherry blossom in South Korea: family time! 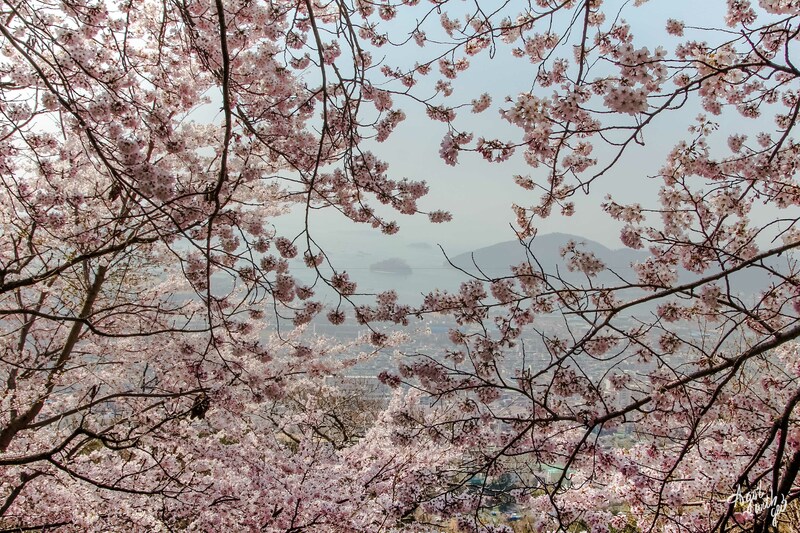 Cherry blossom in South Korea: photo time! Some more close ups of the “kotkot” beauty: both pink rose and red. A rare post of mine where photos mean more than words: but you get it, right? Can’t wait to be back next year. Great photos. I’m caught up on the idea of “Dream Road”, great name. Thanks Marcus 🙂 lucky you! Cant get rid of the idea that your set of countries is better than mine. Lovely cherry trees. I love the red ones.